Today we have a big surprise again, we have an interview with one of the most promising talent who lives in a country which is one of the biggest nation in biathlon. She is always kind and always smiling, she is a World Cup race winner, she is a World Champion, she became our big favourite in Nove Mesto, she has a special part in our heart... 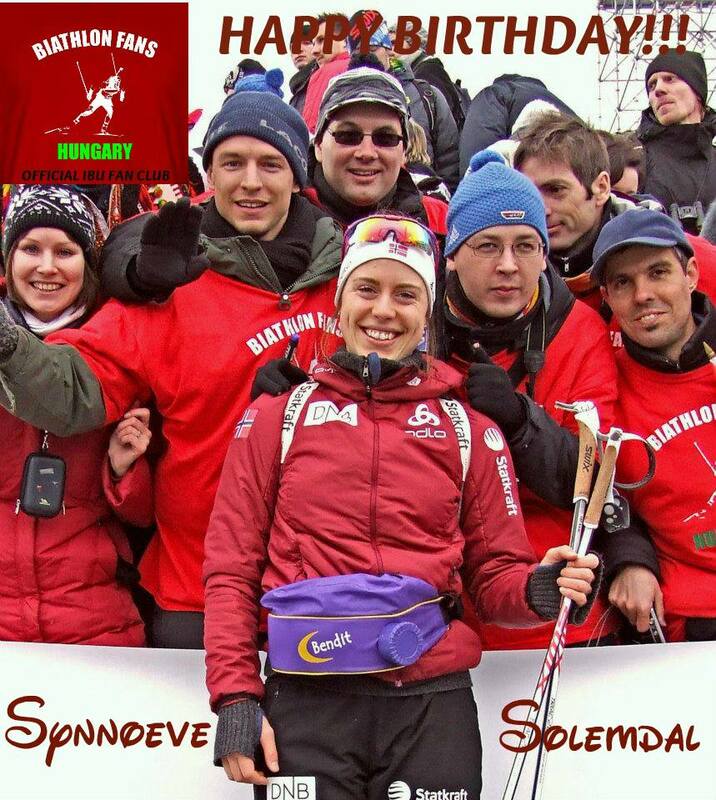 Yes, she is Synnøve Solemdal from Norway, who celebrate her birthday today! BFH: Dear Synnøve, first Happy Birthday to you! I think you completed a very successful season in the World Cup. In Hochfilzen you won your first gold medal in the pursuit, and you won 4 times with the relay, from this you collected 2 gold in the World Championships. How did you see your last season? Was it your best season? Synnøve: Thanks! :) Last season was probably my best season until now. I was very satisfied with the good races, but I always see things I can do better in the next season. BFH: It was the first season when you win in different competitions. You have gold from an individual and from a team competition too. Which victory is more important for you? Synnøve: The gold medal in the women's relay in Nove Mesto was the most important victory for me. I spend a lot of time with the other girls during the year and they are kind of my second family. When Tora passed the finish line I where so happy I almost started to cry. BFH: In the European Championships in 2010 you won the pursuit too. It is your favourite competiton? Synnøve: Haha.. Yes I like pursuit very much!! BFH: Unfortunatly you couldn't complete your season, because you had health problems, and you couldn't start in Russia, but in the next season the Winter Olympic Games will be in Sochi. You couldn't gain any experience from the new track. What do you think? It could be a handicap for you or not? Synnøve: My plan was to go to Sochi, but now I will try to have an open mind instead. I think if my summertraining is good I will be prepared to go good races anywhere. Synnøve: I would like a gold medal for sure, but its really hard competition. I want to be better and better every season, if i can do that Im satisfied. BFH: You became better and better year by year. What do you think, could you grow up to Tora in a few years or beat she? BFH: Now the training starts, you started to prepare yourself to the next season, but before it you have some free time. How did you spend it? Could you live for your hobbies? What are they? Synnøve: I like to meet family and friends from home. During the season I don't have the chance to meet them. So I try to meet them as often as I can during the holidays. BFH: How often do you go for cross-country skiing just for your own pleasure, when the sun is sparkling on the snow, or the regular training program is enough for you? Synnøve: I don't go any cross-country skiing during the season. But after the season I like to go skiing in the mountains. BFH: Do you have motivation for the everyday hard training? I think skiing is a great pleasure itself, isn’t it? Synnøve: I love to train! 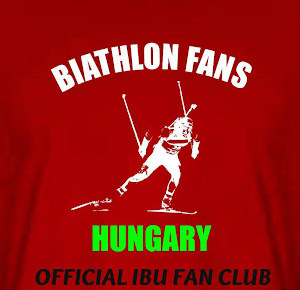 What I love about biathlon is that we can do so many different things. During the summer we train running, bicycling, roller skiers and strength and during the winter we train both classic and skate and of course we also have shooting. So there is really no time to get bored! BFH: Do you like alpine skiing? Do you do it anyway? Synnøve: Yes i like alpine skiing, but Im not so tough when its really steep. I try to get tougher so I also can get better in the downhills in biathlon. BFH: Finally, thank you for all what we became from you in Nove Mesto, the bib, the photo with you, and a lots of smiles. What memories do you have from the Hungarian fans? What were the most important moments for you? Synnøve: I have many good memories from the Hungarian fans. I remember they where smiling and cheering every time I passed them in the track. I think it was very nice of them and it meant a lot to me! Thank you for your answer, we wish you the best to the next season!